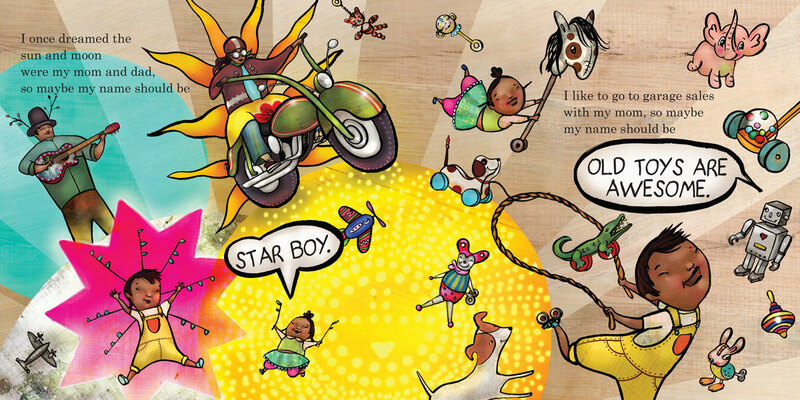 Yuyi Morales created illustrations that make Thunder Boy Jr. come alive! For this primary source pairing, use the book as the primary source. Using pages 19-20, invite students to explore the image showing all the things Thunder Boy Jr. has done that could inspire a new name. Encourage students to think of a new name for themselves using the same brainstorming technique as Thunder Boy Jr. Think about things you’ve done – how would you change your name?